Shape & activate a more attractive aspirational lifestyle that is innately sustainable for the emergent middle class in China. The China Dream project seeks to reimagine prosperity and reshape consumerism in China. The goal is to catalyze sustainable habits in the emergent 800 million consuming class in China by baking it into the social norms of a new aspirational lifestyle- a Harmonious & Happy Dream. A ~40 page document outlining this program and its methodology is available at www.juccce.org/chinadream. In today’s growing global marketplace, with its ever-diminishing resource stocks, one danger is obvious: demand is outstripping supply. A worrisome statistic states that if all seven billion people on earth lived like the average American, we would need five planets to support us. Here’s our conundrum: increases in living standards are tightly coupled with growth in resource consumption. China’s push out of poverty is creating double-digit growth in personal consumption and putting the world on a path to resource devastation. To transform behavior in China so as not to blindly emulate conspicuous consumption lifestyles, we must change habits.To change habits, we must change social norms of this emerging middle class that is still shaping its ideas of prosperity.To change social norms, we need new, more attractive norms that are set thru opinion-making channels. People are more likely to pay attention to new norms if they hear it consistently from a variety of trusted messengers, within a short span of time. The bad news is that we have a very small window to make the China Dream project a success. The average Chinese person’s carbon footprint now equals a European’s, and is on track to surpass that of an American’s within the next 5 years by 2017.The time to breathe life into sustainable consumerism in the largest consumer market is now. What actions do you propose? 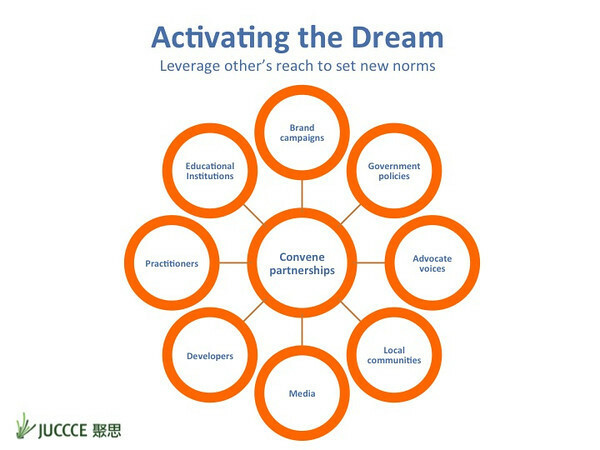 The China Dream co-creation process utilizes a toolkit of workshops, activates China Dream norms through diverse stakeholders and partnerships, integrates China Dream values into mainstream marketing, and works with govertnment to recommend local policies and actions to shape consumer behavior. § Reframe sustainability jargon to culturally relevant language of personal prosperity & national identity. § Map collaboration stakeholder types. Understanding who our heroes are and how they live the China Dream, as well as our villains, is an important part of making the China Dream myth come to life. § Identify and prep public advocates. JUCCCE now has 6. Mrs Public Service Mom, Mr. Healthy CEO, Ms. Balance, Mr. Worldly CEO, Mr. Long Life Eating, Mr. City 2.0. We also work with 5 celebrities- actors, singers, models, soccer stars. § Create archetypes and show how they successfully live the Dream, or not. What motivates them. § Does the pickup rate in social media for the term “åæ¦æ¢¦æ³” reach over 50 million people? § Number of cities that are piloting China Dream policies is over 10. § Number of mass media features and ads (branded content). 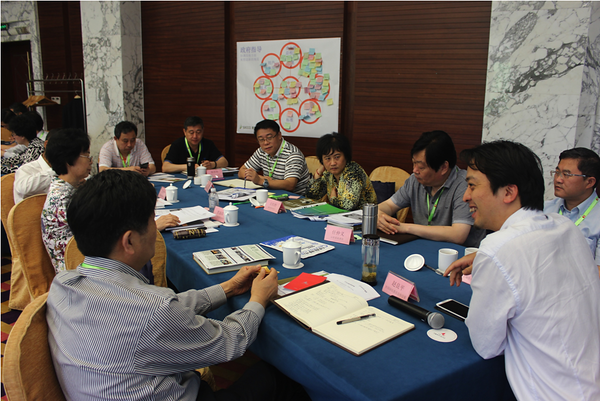 § # China Dream workshops held > 10. § Impact of Individual projects. 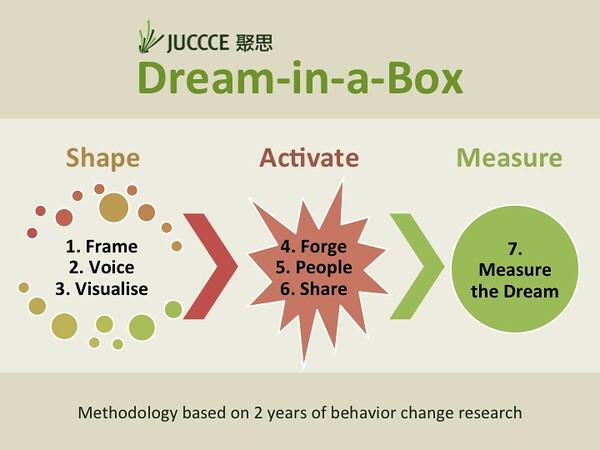 In the last 3 years, JUCCCE has convened a world-class, world-wide expert team to research behavior change in the context of China. - Moving forward by building upon our heritage. These definitions / memes are being spread in multiple channels such as government trainings on the China Dream with the Communist Party government leadership academies. To date, 130 officials have attended. 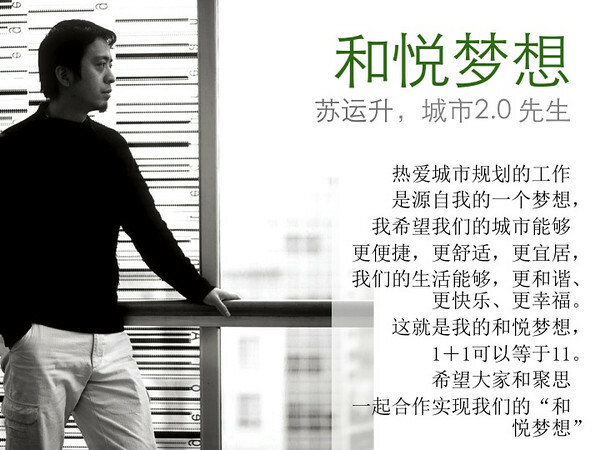 Also as full page ads in magazines such as the influential "Creative City" magazine published under the China Academy of Social Sciences. And in consumer magazine cover stories such as Sept 2012 Vogue China (4pages), April 2013 Harpers Bazaar China (6 pages), October 2012 Oriental Outlook (2 pages). The way that a social engineering effort such as China Dream takes place in China is necessarily different than in the West. The culture in mainland China is 180 degrees opposite from American culture. The state of development of China in constant, fast, and large scale change, and therefore the receptivity to change and new models of social norms is very positive in China. The governance model of centrally set targets but local experiments shapes some of the approach in this initiative in that policies, government leadership training, and new city models are very impactful. The rapidness of takeup in China to new models of living is much faster than in the West. Who will take these actions? Unique to this initiative is the breadth of high-level stakeholders who are drawn to the China Dream because it turns an ambitious goal into a set of concrete, actionable steps. Consumer product companies & developers who help customers achieve the China Dream can win their loyalty & accelerate sales beyond normal GDP growth. Ad & marketing agencies – master storytellers – can demonstrate thought leadership about the ‘customer of the future’ in the largest consumer market in the world to their clients. Key are specific visionary individuals who understand the need for sustainable consumption. Cheryl Hicks of UNEP/Wuppertal Collaborating Centre on Sustainable Consumption & Production says “The influencing part of sustainable consumption has been the most difficult. Many unsuccessful attempts have been made to leverage the skills of marketers and advertising companies. Your project is one of the first ones that catalyzes some of that expertise in a fresh way." The Chinese govt has set numerical ambitious targets for reducing energy use & environmental protection. China Dream recommendations offer a set of implementable actions and policies that help meet these targest through shaping consumer behavior. 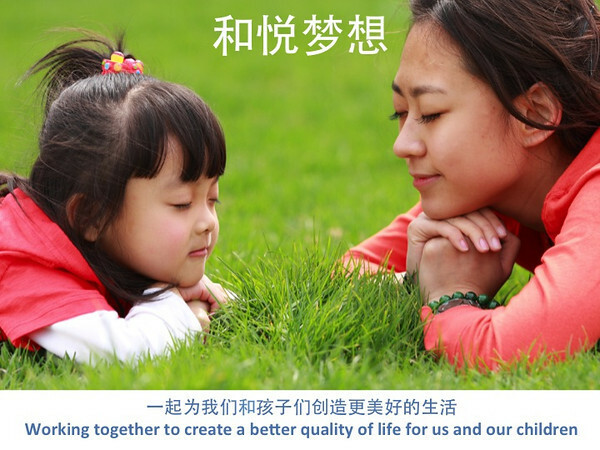 Chinese citizens are looking for tools to take a different, more Chinese path to harmonious happiness. The China Dream allows everyone to be a hero on the path to this aspirational harmonious lifestyle. 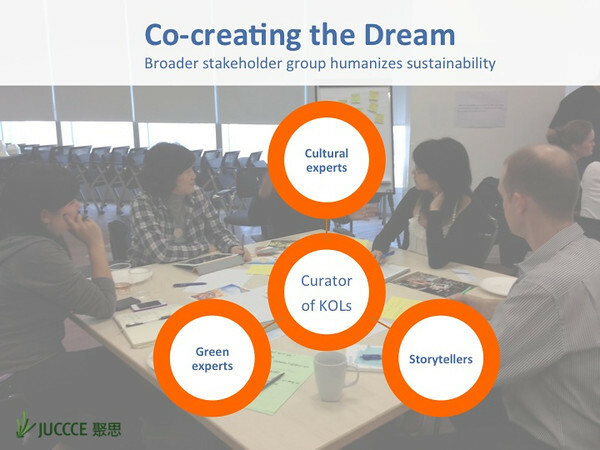 Green experts- China Dream allows academics, NGOs, sustainability consultants to broaden their audience by speaking to people’s hearts, not just their heads. Where will these actions be taken? JUCCCE is working on many discrete activation projects to activate specific areas of the China Dream. Below are just a sample of the many ways the 4 areas of China Dream are starting to be activated. - A New Way to Eat program will meld new nutrional guidelines such as the Harvard Healthy Plate with Chinese cultural context and give guidelines as to the least environmentally impactful ways to achieve that nutritional goal. - Build a China Dream model community on the order of 1-10 square kilometers. This will include building for humans, interactive social spaces, public transport centered design, 1 sqkm living, dense and vertical building, green building. - Continue to develop curriculum to teach at the three training academies JUCCCE works with to teach how to build sustainable cities. In the last 5 years, JUCCCE has taught 600 officials all over China (vice mayors, mayors, central bureau heads, state owned enterprise executives). For example, "Ecoheritage tourism", "Soul of a City- social spaces", "Sustainable lifestyle", "Low Carbon Transport". - JUCCCE has completed research on an initial 8 consumption facing policies to recommend to local governments. These policy recommendations are given out in our government training classes. - JUCCCE is working with the 2012 top marketing agency in China and a top consumer brand company to develop a soap opera concept that would embed China Dream norms into the background. This is a 3 year effort. - JUCCCE is working with a top sustainability technology company to publish and distribute in China a "Top 10 tips for Safe and Healthy Restaurants" guide. - JUCCCE is working with one of the world's largest land developers to develop case studies on new models for trigenerational living. JUCCCE is the curator of China Dream. A separate organisation, Best Foot Forward, is incubating the UK Dream initiative, and the World Economic Forum has done one language workshop in India. How much will emissions be reduced or sequestered vs. business as usual levels? What are other key benefits? We only have one chance to engage the emerging middle class in China while they are still searching for a vision of prosperity. Here is where dreams have not been cemented, and people are eager to absorb new ideas. If we wait too long, the emerging middle class will have already developed their tastes and habits. It will be too late to steer the masses to greener pastures. If we miss this opportunity, corporations will miss the chance of creating the green customer they want to sell to in what will be the largest consumer market in the world. If China Dream is a success, it could be an example that behavior change at mass scale can happen. The China Dream offers a new model of prosperity that can spark sustainable consumerism in countries around the world. Already, a “UK Dream” effort has been launched using the China Dream insights and process. What are the proposal’s costs? 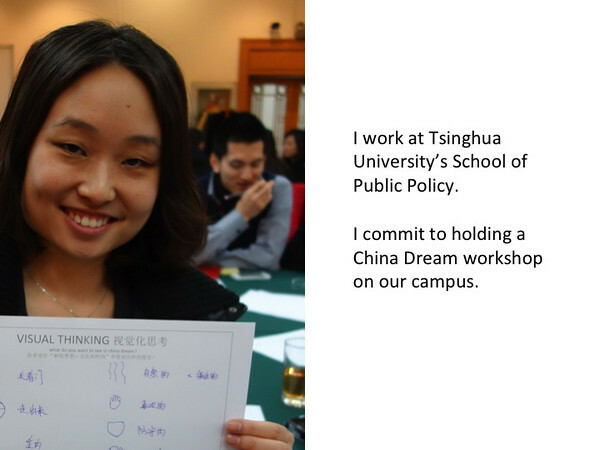 The main costs for China Dream are a small coordinating team, supported by a large group of advisors and volunteers. At a minimum, team costs are USD100K per annum. Additional costs are travel costs to meet with government – the more funding that is acquired, the further we can travel, and the greater the impact that can be made. Costs are largely buoyed by a co-creation effort where the champions put in time and in-kind resources to activate the China Dream. Dream-in-a-Box™ open-source toolkit for creating sustainable consumerism in 7 steps. The methodology has been developed by a worldwide network of JUCCCE experts. Social change depends on local champions. The Dream-in-a-Box co-creation workshop format can be freely used with attribution & JUCCCE guidance by tribes around the world. Society and Welfare Feb 2013. 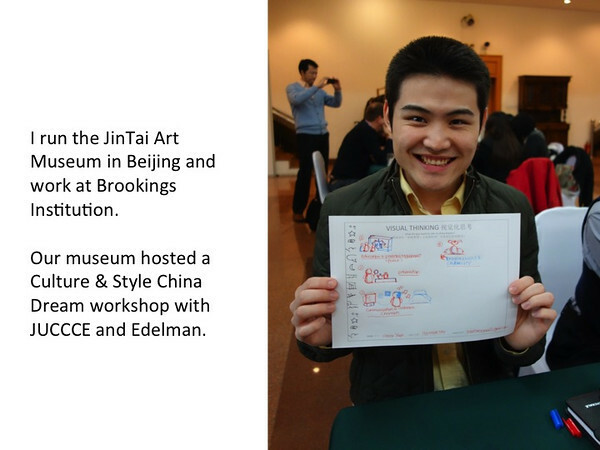 On #chinadream workshop on #cultureandstyle at Beijing Jing Tai Art Museum. The Guardian, Oct 24, 2012. "Building a vision of the Chinese dream"
Vogue China, Sept 2012. Cover mention: "Powerful Women Who Better the World"
China Business News ãç¬¬ä¸è´¢ç»å¨åã. Cover mention: "Top 50 Innovative Leaders" èæä¸»å¸­åä½©çªå½é “2012ä¸­å½åä¸åæ°50äºº"
Solutions Journal, special issue for UN Rio + 20, June 2012. "Sustainable Consumerism Begins in China"
Urban China Initiative awards grants for research on China Urbanization 2011, "Consumerist China: Is it sustainable?" "China's Green Goddess", The Diplomat. Team proposal: Only members listed on the proposal''s Contributors tab will be able to edit this proposal. Members can request to join the proposal team on the Contributors tab. The proposal owner can open this proposal for anyone to edit using the Admin tab. How can we reduce consumption of greenhouse-emitting goods and services?